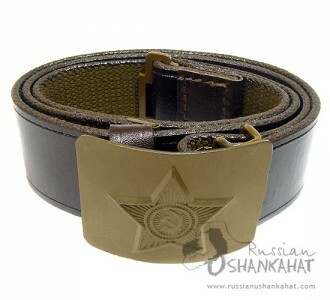 Genuine Soviet Red Army Soldier uniform belt. WW2 type. 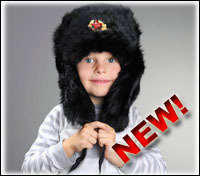 Original Soviet army surplus, made in 1970-1980. Never used! Perfect Condition! The belt is made of canvas, covered with brown rubberized paint. Heavy metal buckle painted green. The belt is 40 inches long. This looks great with jeans! Can be a great gift for somebody!